Sweater Puppets by Humble Juice Co. is a refreshing blend of mango, cantaloupe, and a little bit of honeydew melon flavor. This tasty e-juice is an all day vape. You will certainly not be disappointed with this vape juice especially if you have a thing for mangoes. The flavor of Sweater Puppets is rich and delicious. This is one of the best mango e-juice blends around. It is a perfect summertime vape. It has a nice tropical flavor, and the taste is spot-on. Sweater Puppets reminds me of sipping on a mango cocktail during my recent vacation to Hawaii. The different flavorings come together magically. This blend is very different from other mango e-liquids on the market today. Sweater Puppets is very refreshing. When vaping this e-juice, the mango flavor stands out on the inhale and exhale. It is more noticeable than the cantaloupe and honeydew melon flavor. There is a hint of creaminess in the blend. This is a very enjoyable vape juice. The vegetable glycerin (VG) and propylene glycol (PG) ratio of Sweater Puppets by Humble Juice Co. is 80/20. 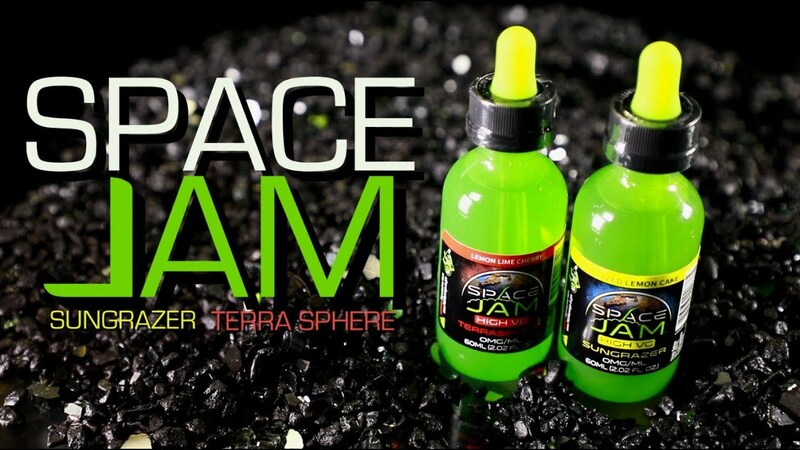 The thickness of this e-liquid makes it perfect for dripping, but you can also choose to vape it with a sub ohm tank. This e-juice is easy on coils. I vaped it for a few days before my wicking material started changing color. All Humble Juice e-liquids come pre-steeped so you do not have to steep this e-juice again before you would enjoy the fullness of the flavor. The vapor production of Sweater Puppets is insane. Each puff gives you huge dense clouds. If you are a cloud chaser, this vape will give you just the kind of thick vapor that you need to perform cloud tricks. Sweater Puppets by Humble Juice Co. is available with different nicotine strength levels. You can get this vape juice with either 0mg, 3mg, 6mg, or 12mg of nicotine. Unless you were a heavy smoker or you have a high nicotine tolerance level, it is not advisable to go for the version of this e-liquid with 12mg of nicotine. As a beginner, you are better off sticking with 3mg or 6mg of nicotine. Sweater Puppets flows smoothly through the throat. I did not experience any harshness in the throat when vaping it even when I increased the wattage level. Sweater Puppets by Humble Juice has a cool and attractive packaging design. This e-liquid comes in a dark chubby gorilla unicorn plastic bottle with a childproof cap. There is a black label on the bottle with the Humble Juice logo as well as other information about the product like the nicotine strength level, VG/PG ratio, and more. Humble Juice Co. is an award-winning e-juice manufacturer with a vast collection of premium vape liquids. All the e-liquids from this company are made with high-quality ingredients including USP NicSelect nicotine, USP vegetable glycerin, USP propylene glycol, and food-grade flavoring. Humble Crumble is one of about ten e-liquids in the Humble Juice series. Some of the others are Donkey Kahn, Berry Blow Doe, Unicorn Treats, Smash Mouth, American Dream, Hop Scotch, Pee Wee Kiwi, and more. You can get a 120mL bottle of Sweater Puppets E-Liquid for only $24.99 at the Humble Juice online shop. You will enjoy excelent customer service and quick delivery of orders. Several great e-liquids are available at VapeFu. These products come from well-known brands in the vaping industry. You can check out these products at this store. You will notice that the products at VapeFu are well organized. The company has made it easy for you to locate what you need. VapeFu knows how to treat customers. This is evident from the customer service that you get at this store. VapeFu has the best customer service. Also, you get your orders delivered on time. There are lots of special deals at this store that you can take advantage of to save some money. Blackberry Lemonade by Vapetasia is one of the e-liquids at VapeFu. This is a simple but well-done blackberry lemonade e-liquid. If you have a thing for lemonade and blackberry flavor, you need to grab a bottle of this e-liquid. Vapetasia’s Blackberry Lemonade e-juice has a lovely blackberry lemonade aroma. The flavor makes you know that you are in for something unique. You can taste the blackberry and lemonade flavor when vaping Blackberry Lemonade. The flavor of this e-liquid is very rich. You will want to indulge in it. You can vape this e-liquid all day long without getting sick of how it tastes. There is no weird chemical aftertaste from this e-juice. Also, the sweetness is right. You will want to have this e-juice in your collection. This is one of the best lemonade e-juices out on the market today. You will find yourself wanting more of this flavorful e-juice. It is a must-try for lemonade lovers. There are three strength levels available for Blackberry Lemonade e-juice by Vapetasia. You can choose either 0mg, 3mg or 6mg of nicotine. You will not have any issues vaping this e-liquid with a tank or dripper since this e-juice has a medium level of thickness. The vegetable glycerin and propylene glycol ratio of Blackberry Lemonade e-juice is 70/30. You will get a mild throat hit from Vapetasia’s Blackberry Lemonade e-juice. A smooth sensation can be felt at the back of your throat. The throat hit does not get irritating at all even when you turn up the wattage. Blackberry Lemonade e-juice by Vapetasia produces thick clouds of vapor. These clouds stay in the air for some time. You can smell the blackberry lemonade flavor in the clouds. Vapetasia’s Blackberry Lemonade e-juice has a simple and attractive packaging design.It comes in a clear bottle with a dropper cap. There is a colorful label on the bottle with the company’s logo and other information about the product. The bottle cap is tightly locked in place, so you do not have to worry about spilling this contents. Vapetasia’s Blackberry Lemonade e-juice will give you a thrilling vaping experience. This e-liquid has the real flavor of a blackberry lemonade. This is a perfect summer vape. It is safe to say that Vapetasia nailed it with Blackberry Lemonade. You can check out other vape juice flavors in this line at the VapeFu store. VapeFu has several e-liquid flavors available at its store. You will find a flavor profile to suit your taste buds. You get the best customer service when you shop at VapeFu. You will get your orders delivered on time. There are deals for specific products at this store that you can avail of to save money. All you have to do is visit this store to enjoy these deals. You can get a 30ml bottle Blackberry Lemonade e-juice by Vapetasia at VapeFu. You will get other Vapetasia e-liquids from this store.